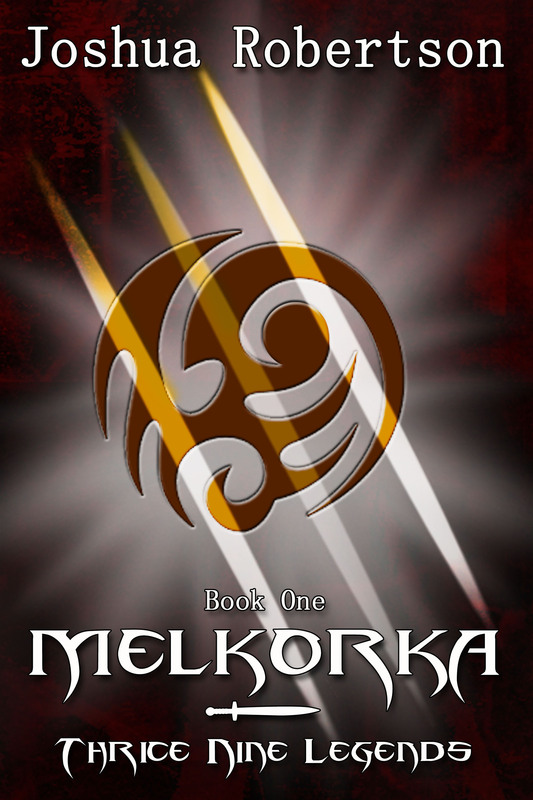 Today I have the pleasure of hosting Joshua Robertson, author of the upcoming Melkorka from Crimson Edge Publishing. I asked him to share some writing tips and he was nice enough to oblige. Thanks, and welcome, Joshua! In younger years, I always thought that R.A. Salvatore was the master of writing fight scenes. If you have not read his works, I would suggest starting with Homeland, Book 1 of the Dark Elf Trilogy, featuring the legendary Drizzt. This fantasy author presents combat so well that it appeared to naturally flow in his novels in the same way that other storytellers would write about the scenery. When I think of exceptional fighting in novels, I still think of Salvatore. Those that have read my novels tell me that I share this strength in my writing. If anything, I assume that this comes from years of playing tabletop RPGs, combat-oriented video games, and sparring with my brother throughout the years. I will leave it to the fans to decide how well I actually execute combat in my novels. However, I wanted to take an opportunity to share just a few tidbits on improving your written combat. My disclaimer to these tips is that I don’t always follow the rules. Sometimes, it is important to intentionally neglect them to capitalize on something within a scene…and sometimes, I simply forget. In any case, it is good to keep these concepts handy! A fight scene is supposed to be fast paced and tense for the character. This is not the time to be explaining how the horizon melds perfectly against the tree line. You want to keep the language in the book glued to the fight scene when it is taking place, while maintaining a flow that does not make it confusing for the reader. What do I mean by that? The English language can be molded in many ways to enhance your writing. Changing passive sentences to active sentences will change the entire feel of a fight. However, I think the easiest rule to begin with is to cut your adjectives and adverbs. They slow the reading process and destroy the emotional feel that most authors believe them to enhance. John fiercely thrust his serrated sword forward and quickly pierced through the knight’s armor. [or] John thrust his sword through the knight’s armor. You get the idea. One example gives a fancy visual for speculation where the other pushes the reader into the next line of action. Combat is a time for action. Another quick tip, if the terrain is an important element for the combat, then you must set it up in a previous scene or prior to the combat. Good writers will lay the groundwork well in advance of when it is actually needed. Suspense is your friend. Take any great fantasy novel and know that you are spending the first hundreds of pages preparing for a climatic end that may only last a few pages [or paragraphs] at the end. One of my beta readers for Melkorka shared with me that this was an element of the novel that kept him turning the pages. And, even at the end of the novel, he was yearning for more. In reality, most fights do not last long. Anyone else watch UFC in their spare time? A couple of minutes and the entire conflict is over. You may watch commercials the entire week prior to the fight, and then watch someone be beat to a pulp for 45 seconds. The trick for the fantasy writer is having this also be reflected in the novel. Well-structured suspense is what makes that fight scene great. Your readers will lose interest if they cannot visualize the scene or the characters placement. It is not everything, but it is important to know your battleground. I have done fighting scenes many ways. I have used maps, figurines, or even danced around my house to practice different maneuvers with swords and whatnot. The author has to know what is going on in order to tell the reader what is happening. Without being too stereotypical, fantasy has long been a genre for nerds and geeks. As you may have guessed that we within the nerd community have certain expectations. We like things to be realistic within the guidelines of the genre. Sure, magic exists – but there are certain rules and properties it has to follow, right? Fights, including pure physical combat, also have rules to follow, such as force and leverage. You will find that readers can forgive some of these mistakes in a well-written novel, but if it is consistently flawed, you will lose your audience. Conducting fight scenes requires the author to conduct research. You have to know the weight of a sword, the reloading rate of a crossbow, the distance a person can jump, and what impact a lance has on iron armor. Then, once you know what you are talking about, write the scene be clear, accurate, and realistic. One of my biggest peeves in some fantasy novels is fight scenes that have nothing to do with the plot structure or character development. Many times you will find authors that will write fight scenes without any purpose, or they will defend the scene with “This scene is important to demonstrate my MC’s strength and agility.” That, my friends, does not advance the plot. It is filler and confuses readers because they are looking for a deeper connection and how this particular scene ties into the character’s motivations. It is not helpful to open your book with a scene of a character fighting a band of robbers on the side of the road, unless those robbers are an intricate piece of the plot line. Why is this important? I think the primary reason is that the reader grows to skim your battle scenes, no matter how important they could possibly be. If I am frequently reading about punches, kicks, and parries in the novel, then the combat begins to lose its meaning. I can remember great scenes in Tolkien and Jordan and Sanderson because the motivation of the characters enhanced the fight. There should always be a good reason for combat. Kaelandur was forged by the Highborn to slay one of their own, Nedezhda Mager. As their slave, Branimir Baran never thought to question his cruel masters until he is forced to take part in the execution. His actions begin a chain of events that will lead him to confront demons, cannibals, and himself as he is forced to question his own morality and the true meaning of good and evil. Book One of the dark fantasy series, Thrice Nine Legends, available on Amazon January 2015. Joshua began crafting the world for Melkorka in 1999, and has since continued writing flash fiction, short stories, poems, children’s books, and epic fantasy novels. Joshua is the author of the transitional children’s book, Bo Bunny and the Trouble. He is also the co-creator of the fantasy tabletop game, Thrice Nine Legends, due to be released in 2015. 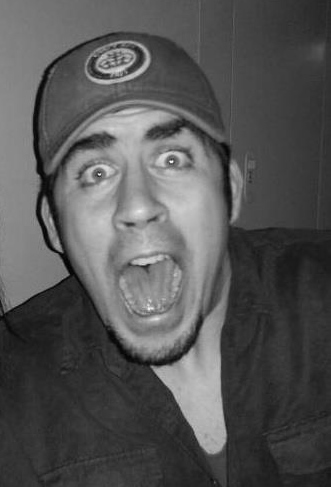 Joshua currently lives in Alaska with his wife and children. This entry was posted on Monday, January 5th, 2015 at 12:30 am	and tagged with Crimson Edge Publishing, guests, Joshua Robertson, Melkorka, writing, writing tips and posted in Books, Guest Posts, Writing. You can follow any responses to this entry through the RSS 2.0 feed. Thank you for letting me guest post on your blog, Terra! Since I am reblogging this on my site, I want to encourage any readers to check out Terra’s other posts and read the full article on her blog!